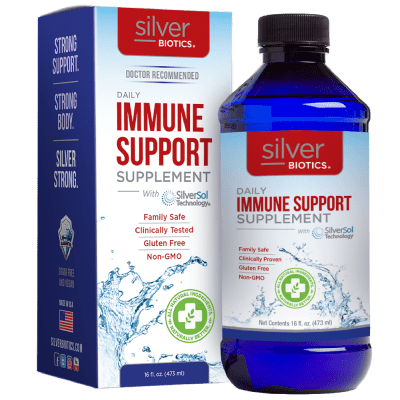 No matter the season, maintaining a healthy immune system is one of the most important jobs for your body. We encounter millions of germs every day, many with the potential to keep us from living an active lifestyle. There has also been an increase in antibiotic resistant bacteria in recent years, which means these germs can be very aggressive and difficult for the immune system to defend against. Our immune system is the body’s defense against enemy cells. Its job is to recognize and destroy foreign invaders (bad cells), while preserving healthy cells (good cells). 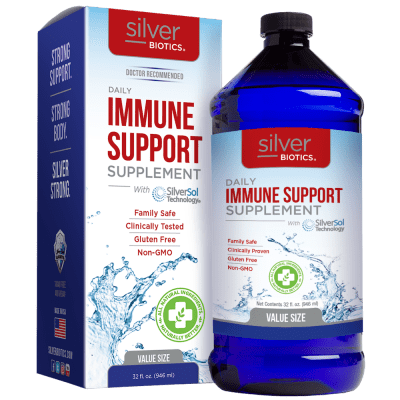 You’ve got to stay strong, you’ve got things to do, and that’s why keeping your immune systems strong is a top priority. 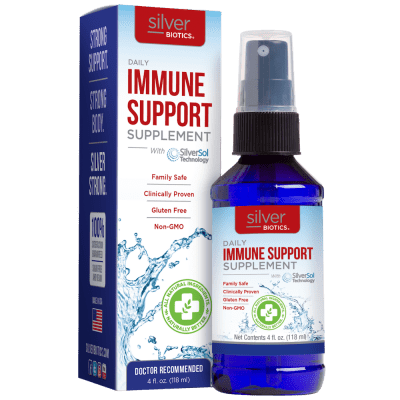 Silver Biotics® Immune Support is the perfect, daily way to support your Immune System. 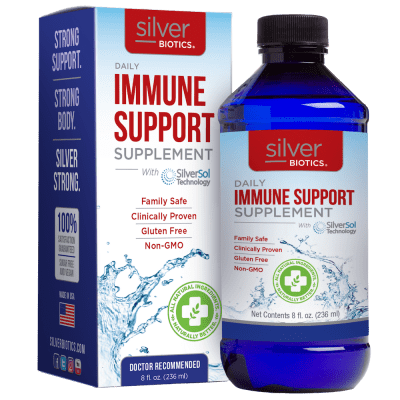 Silver Biotics Immune Support contains powerful SilverSol Technology® to give your body a boost, so that it can do its job keeping you strong and healthy for all your daily adventures.